The Shenzhen Ping An Finance Center (PAFC) is a transit-integrated, 660-meter-tall building that will occupy a major node in the increasingly connected megacity of Hong Kong/Shenzhen/Guangzhou: home to 120 million people and one-third of China’s trade value. PAFC’s design symbolizes its owner’s image and title – “Ping An” is the combination of the Chinese characters for “peaceful” and “safety,” while evoking the entrepreneurial spirit of Shenzhen. Its stretched, needle-like shape is streamlined and notched with continuously tapering corners, for aerodynamic performance, visual effect, and space efficiency. 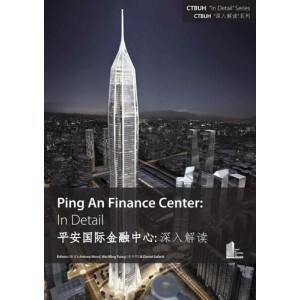 Note: This publication was produced in conjunction with the CTBUH 2014 Shanghai Conference, which took place at the Grand Hyatt Jin Mao Shanghai from 16–19 September, 2014, as an additional supplement to the Main Proceedings book alongside two other "In Detail" publications, Shanghai Tower and Suzhou Zhongnan Center.